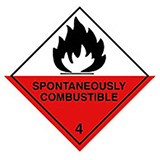 Liquid hazard labels which conform to the GHS International System of Classification and Labelling for the transportation of dangerous goods, which divides hazardous substances into classes on the basis of the chemical characteristics producing the risk. 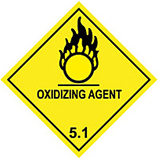 Class 3 represents hazards from liquid chemicals and are available for flammable (SLZ04) and highly flammable liquid (SLZ06). 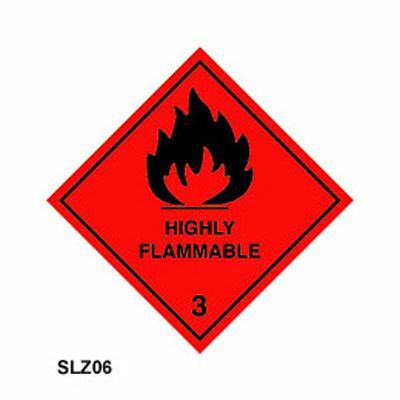 Flammable liquid is defined as any liquid having a flash point of = 60.5 °C (141 °F); 'highly flammable' means a chemical hazard that may catch fire in contact with air, only need brief contact with an ignition source, have a very low flash point or evolve highly flammable gases in contact with water. 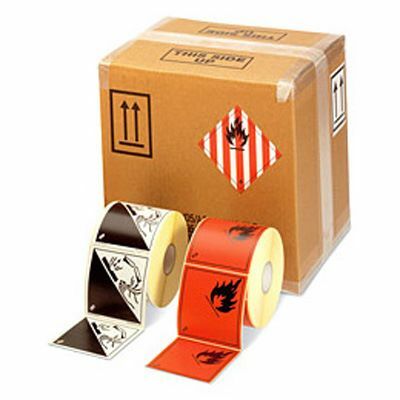 Each roll contains 250 self-adhesive vinyl hazard diamonds and are 100mm square. 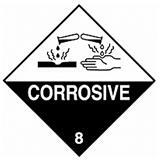 Class 9 Warning Labels - Miscellaneous hazardous materials. UN Labels- UN numbers and environmental pollutants. Label Dispensers- Quick and easy label dispensing for the office or workbench.